Having lived in Dubai for over 15 years now one has become fairly accustomed to this greeting during the month of Ramadan. Ramadan is the ninth month of the Islamic calendar and Muslims all over the world observe a month in fasting. Looking deeper into the essence of the Holy month of Ramadan there is a lot more I’ve discovered over the years. The true spirit of Ramadan would mean looking beyond eating at dawn, fasting through the day and breaking one’s fast at sunset. It is a period of introspection and self-healing. A time to reflect on one’s deeds and actions. A time to exercise self-control, restraint and sacrifice. A time to encourage actions of generosity and charity. The fasting of course is the essential part of Ramadan. This consists of two main meals. One is the Suhoor which is the pre fast meal eaten at dawn and Iftar which is the meal eaten after breaking one’s fast at sunset. An Iftar forms a large part of Ramadan all over. Most hotels and restaurants offer lavish buffets and a variety of gastronomic delicacies. Traditionally the fast is broken with eating some dates and them partaking in an Iftar buffet. A typical Iftar buffet would consist of traditional dishes made with lamb, roast chicken and grilled vegetables, rice and meats cooked together and a variety of salads. Not forgetting a delectable platter of desserts like Kunafe, Baklava & Luquimat. My post here is in celebrating an Iftar during the holy month of Ramadan. 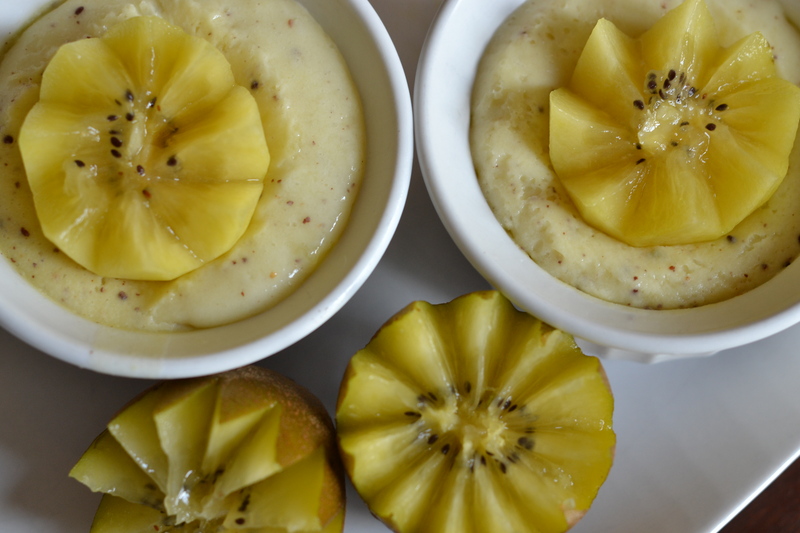 My box of delicious golden Kiwi fruit arrived just in time for me to whip up a delicious Kiwi & Coconut pudding. Thank you once again Zespri for the lovely box of Kiwi fruit. So do go ahead and add this dessert to your Iftar table. I do hope you will enjoy making this just as I did. Once again Ramadan Kareem to those fasting during this period and Peace and Happiness always. Peel the kiwi fruit and chop roughly. Put the pieces into a food processor and blend it into a pulp. Heat the water in a pan. Once it is boiling remove it from heat. Sprinkle the gelatin over the hot water and whisk briskly so that the gelatin dissolves and does not form lumps. Add the sugar to the gelatin mixture and mix well. Then add the kiwi pulp, coconut milk and powdered cardamom. Put the above mixture back into the food processor and blend until all the ingredients are combined well. 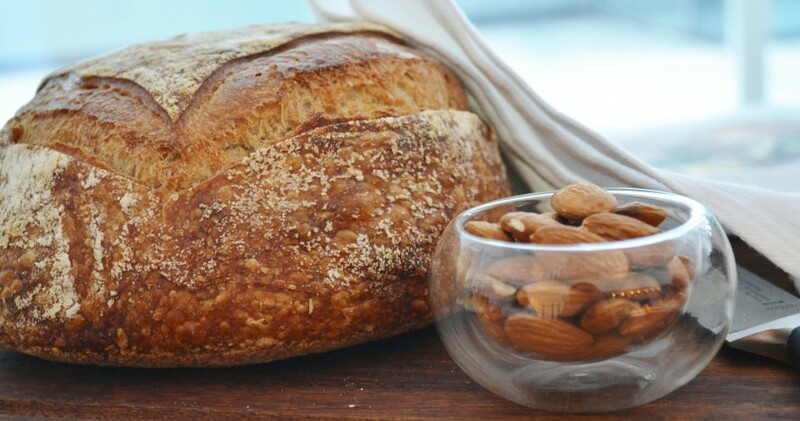 Pour into ramekins and refrigerate overnight. Garnish with golden kiwi fruit. 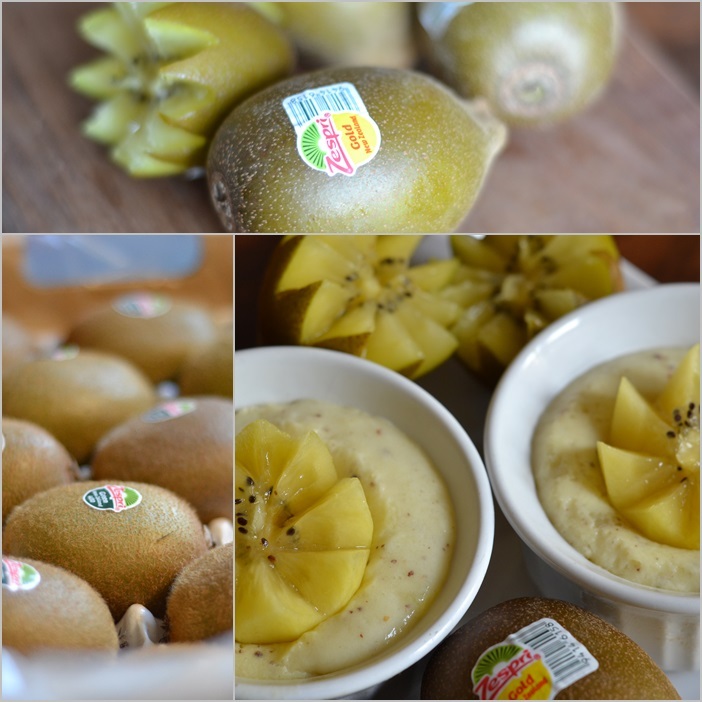 You must try the golden Kiwis. They are very sweet unlike the green ones. 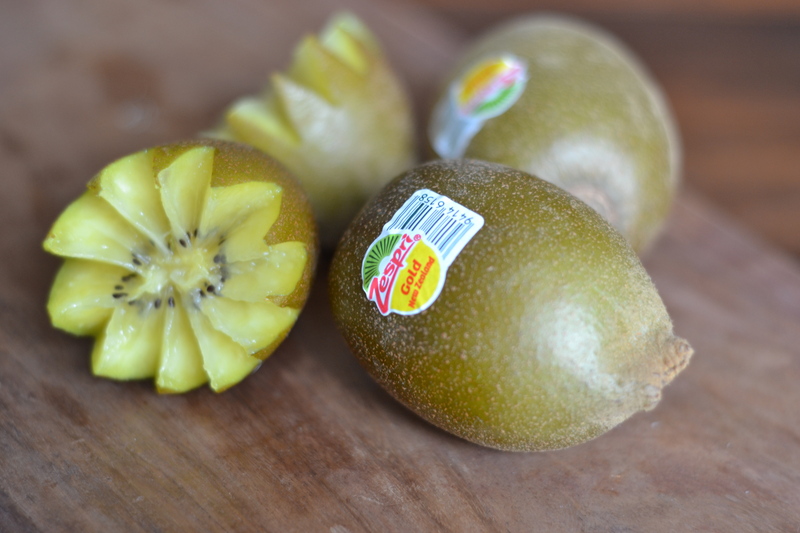 The Zespri ones are available in Spinneys and most other super markets.